The main focus of my research program is to study roles of tumor suppressors in normal development and in breast and prostate cancer progression, focusing on Maspin and an Ets transcription factor PDEF. Maspin is a unique member of SERPIN family that plays roles in normal tissue development, tumor metastasis, and angiogenesis. Genetic studies by my laboratory using maspin transgenic and knockout mice demonstrated an important role of maspin in normal mammary, prostate, and embryonic development. Recently, we have identified several new properties of maspin. As a protein that is present on cell surface, maspin controls cell-ECM adhesion. This function is responsible for maspin-mediated suppression of tumor cell motility and invasion. We have also discovered that maspin is involved in the induction of tumor cell apoptosis through a mitochondrial death pathway. The long-term goals of these projects are to elucidate the molecular mechanisms by which maspin and PDEF control tumor metastasis and to identify their physiological functions in development. Another focus of research in Zhang lab is to identify immune components that control breast cancer metastasis. Zhang lab has developed a unique animal model of breast cancer that reproduces different stages of breast cancer bone metastasis. Molecules that control tumor-immune cell interaction and immunosuppression have been identified. We are currently studying roles of these genes in tumor-driven evolution that control chronic inflammation and immunosuppression. Breast and Prostate Cancer, Cancer Prevention, Immune Control of Cancer, Pathology, Apoptosis, Invasion and Metastasis, and Mouse Model of Cancer. 1. Zhang, M.,Rosenblum-vos, L., Lowry, C.V., Boake, K.A., Zitomer, R.S., A yeast protein with homology to the ï¢-subunit of G protein is involved in control of heme-regulated and catabolite-repressed genes. Gene 97: 153-161 (1991). 2. Zhang, M., Zou, Z., Maass, N., Sager, R. Differential expression of elafin in human normal mammary epithelial cells and carcinomas is regulated at the transcriptional level. Cancer Research 55: 2537-2541 (1995). 3. Alpan, R. S., Zhang, M., Pardee, A. Cell cycle dependent expression of TAP1, TAP2 and HLA-B27 mRNAs in a human breast cancer cell line. Cancer Research 56: 4358-4361 (1996). 4. Zhang, M., Sheng, S., Maass, N., Sager, R. mMaspin, the mouse homolog of a human tumor suppressor gene, inhibits tumor invasion and motility. Molecular Medicine 3: 48-58 (1997). 5. Zhang, M., Maass, N., Magit, D., Sager, R. Transactivation through Ets and Ap1 sites determines the expression of tumor suppressing gene maspin. Cell Growth and Differentiation 8: 179-186 (1997). 6. Steman, G., Astrom, A.K., Roijer, E., Sotiropoulou, G., Zhang, M., Sager, R. Assignment of a novel cysteine proteinase inhibitor (CST6) to 11q13 by fluorescence in situ hybridization. Cytogenetics and Cell Genetics 76: 45-49 (1997). 7. Zhang, M, Magit, D., Sager, R. Expression of maspin in prostatic cells is regulated by a positive Ets element and a negative HRE site recognized by androgen receptor. Proc. Natl. Acad. Sci. USA, 94:5673-5678, 1997. 8. Zhang, M, Magit, D., Sager, R. Re-expression of elafin in 21MT2 breast carcinomas by phorbol 12-myristate 13-acetate (PMA) is mediated by the Ap1 site in the elafin promoter. Cancer Research 57, 4631-4636, 1997. 9. Mueller, E., Sarraf, P., Tontonoz, P., Evans, R.M., Martin, K.J., Zhang, M., Fletcher, C., Singer, S., Speigelman, B.M. Terminal differentiation of human breast cancer: expression and ligand activation of PPAR-ï§. Molecular Cell, 1: 465-470, 1998. 10. Zhang M, Martin KJ, Sheng S, Sager R. Expression genetics: a different approach to cancer diagnosis and prognosis. Trends Biotechnol. 1998, Feb;16(2):66-71. Review. PubMed PMID: 9487733. 11. Zhang, M., Magit, D., Botteri, F., Shi, Y., He, K., Li, M., Furth, P., Sager, R. Maspin plays an important role in mammary gland development. Developmental Biology, 215: 278-287, 1999. 12. Zhang, M., Volpert, O., Shi, Y., Bouck, N. Maspin is an angiogenesis inhibitor. Nature Medicine, 6, 196-199, 2000. 13. Maass N, Hojo T, Zhang M, Sager R, Jonat W, Nagasaki K. Maspin is a novel protease inhibitor with tumor-suppressing activity in breast cancer. Acta Oncol. 2000;39(8):931-4. 14. Zhang, M., Shi, Y., Magit, D., Furth, PA., Sager, R. Reduced mammary tumor progression in WAP-TAg /WAP-maspin bitransgenic mice. Oncogene, 19:6053-6058, 2000. 15. Shi, H., Zhang, W., Liang, R., Abraham, S, Kittrell, F., Medina, D., and Zhang, M. Blocking tumor growth, invasion and metastasis by maspin in a syngeneic breast cancer model. Cancer Research, 61, 6945-6951, 2001. 1. Zhang, M. The Role of maspin in tumor progression and normal development. “Maspin” , edited by Mary Hendrix. LANDES BIOSCIENCE, pp 96-114, 2002. 2. Zhang, M., Sheng, S., and Arthur Pardee. Maspin in Sager laboratory. “Maspin”, edited by Mary Hendrix. LANDES BIOSCIENCE, pp8-16, 2002. 3. Sheng, S, Zhang, M., Pardee, AB, and Sager, R. Maspin. 2002, p2010-2013. Wiley Encyclopedia of Molecular Medicine, John Wiley & Son, Inc., New York, NY. 4. 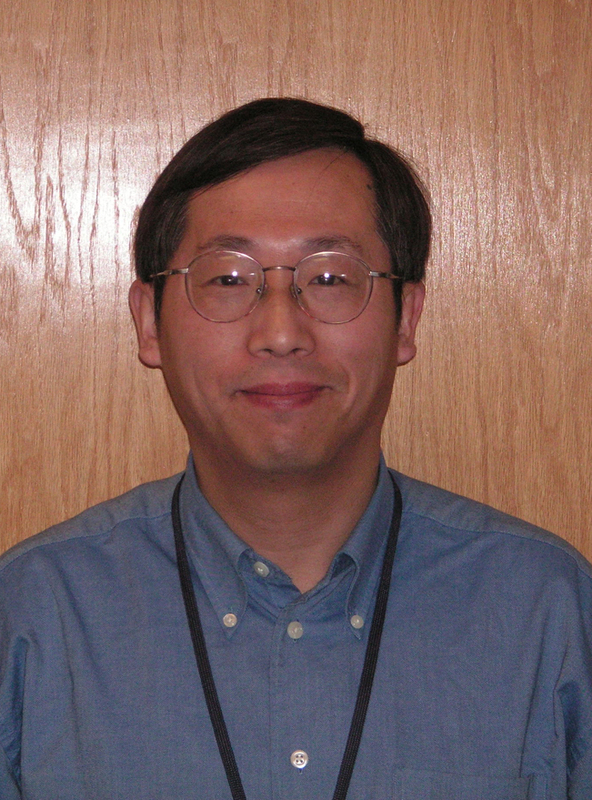 Zhang, M., Shi, H. The role of maspin in tumor progression. Recent Research Development in Cancer”. Transworld Research Network publisher, USA, 2002. 5. Chris Schem, Niklai Maass, and Ming Zhang. Cellular function of tumor suppression gene maspin in cancer. Recent Research Development in Cancer. Transworld Research Network publisher, USA, 2003, 5:63-72. 6. Phil Pemberton, Christian Schem, Nicolai Maass, and Zhang, M. Chapter 14, Maspin and tumor suppression. Book title: “The Serpinopathies: Molecular and Cellular Aspects of Serpins and their Disorders”. Edited by Gary Silverman and David Lomas. World Scientific Publishing Company, pp337-362, 2007. 7. Zhila Khalkhali-Ellis, Ming Zhang, and Mary J.C. Hendrix, Breast Cancer: Causes, Diagnosis and Treatment. Chapter 6 - Maspin and Cathepsin D Partnership in Regulating Mammary Gland Development and Breast Cancer, pp. 161-176 ,2010. Editors: Martin E. Romero and Louis M. Dashek. Nova Publishers. 8. Reinke, L, Zhang, M. Maspin and Suppression of Cancer Metastasis. Book title: “Mouse Models of Cancer”, edited by Dr. Jeff Green, NIH/NCI. 2011. 9. Mike Endsley, Ming Zhang. Use of mouse models to study maspin function. Book Title: “Methods in Enzymology”, Edited by Philip Bird and James Whisstock. 2011.